An enhanced version of the Hydro-Lite Boardshort, the Hydro-Lite Pro is upgraded with dual-front plus single-back sonic-welded zipper pockets, and a welt right-hip plier pocket. Constructed in our ultra-lightweight, quick-drying, 8-way mechanical super-stretch fabric and featuring our patented Stain-Repel and Hydro-Repel coating, these shorts are more than ready for your next ocean adventure. 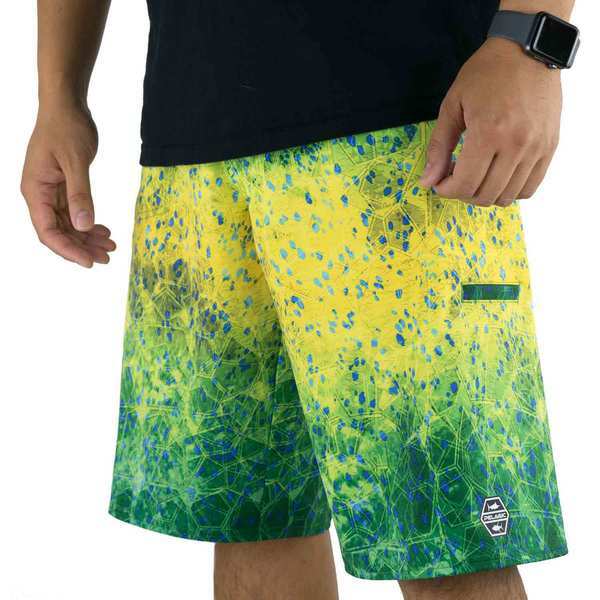 The Hydro-Lite Pro is an all-purpose 5 pocket boardshort for the uncompromising waterman who demands top of the line features, durability and comfort. Imported.